The Chrosziel 206-12 is a 0.8 gear pitch focus gear drive for Chrosziel's 206-01S follow focus system. It features standard 0.8 pitch gearing for use with cine-style lenses. 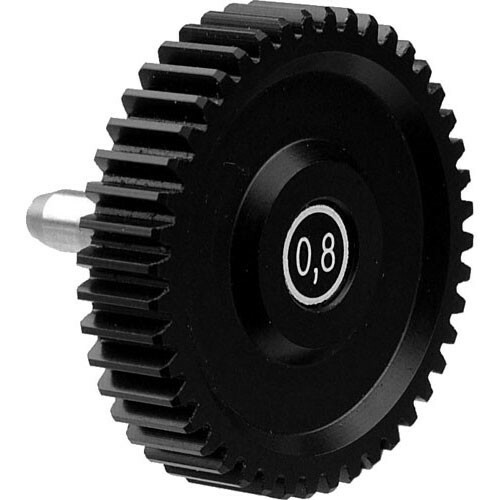 Box Dimensions (LxWxH) 2.5 x 1.6 x 1.4"
206-12 Focus Gear Drive (0.8 Gear Pitch) is rated 4.7 out of 5 by 3. Rated 4 out of 5 by arturo from as expected It's simple, and obviously works as advertised. Chrosziel build quality always comes through. The price is pretty insane, though. If it were about $70 to $80 then it'd get 5 stars for sure. Rated 5 out of 5 by Anonymous from Good Thing Nice.